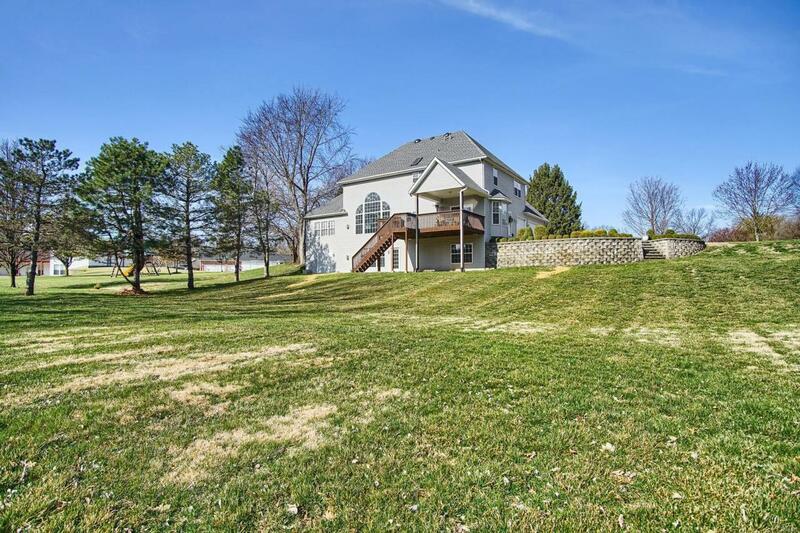 Schedule your appointment to view this amazing 1 1/2 story home that sits on over 2.5 private acres. 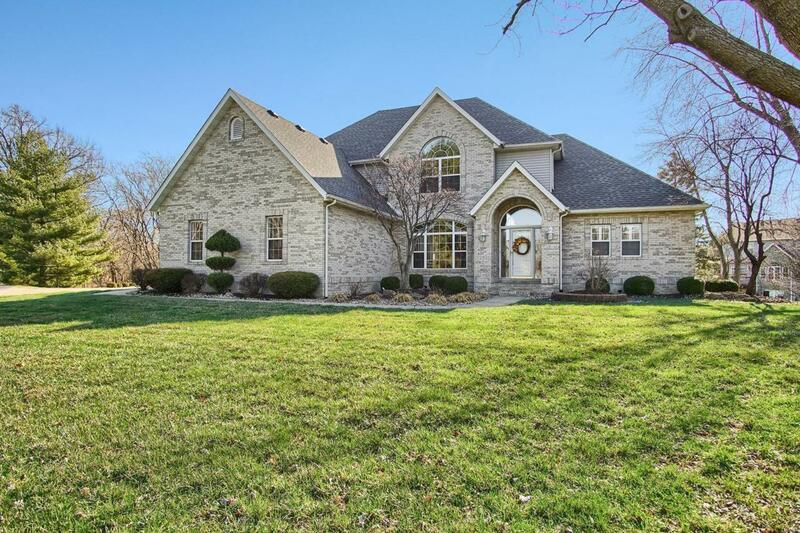 This custom 1 owner home has been meticulously maintained. The home has been freshly painted throughout. 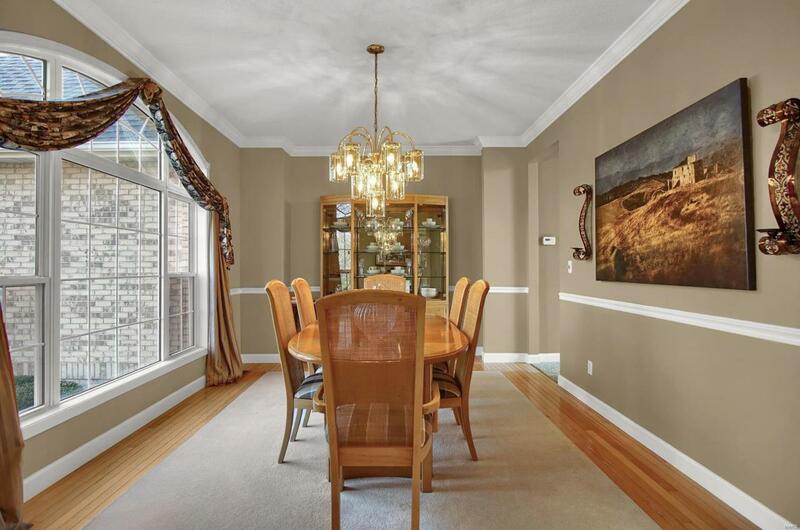 The large eat-in kitchen offers beautifultall cabinets and new granite counter tops. The main level also boasts a spacious great room w/floor to ceiling windows, dining room, laundry, 1/2 bath, master bedroom and master bath. The freshly painted upstairs offers 3 large bedrooms and a full bath. 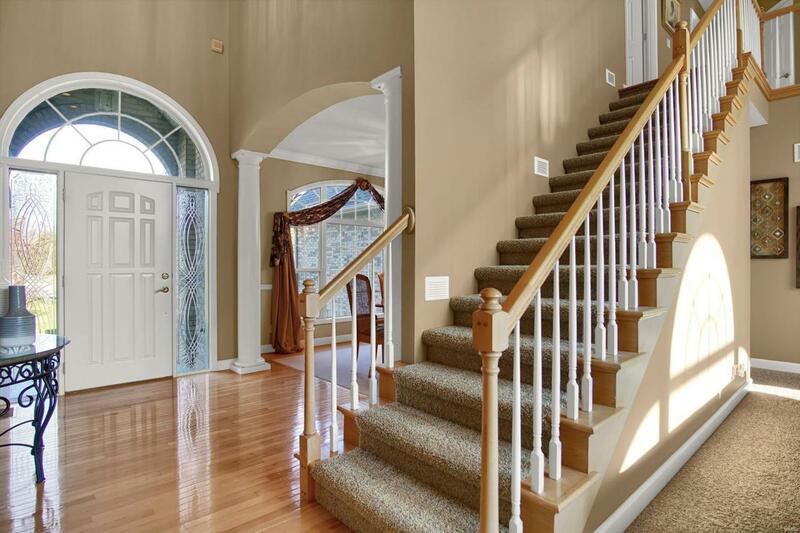 The walk-out lower level has a family room, a kitchen/wet bar area, 1/2 bath and a storage room that has a new utility door to exterior.There is the possibility for a 5th bedroom. Walk out your kitchen to the covered deck that has beautiful views of the tree lined backyard. Updates and extras include- new granite counter tops, fresh paint, custom shutters, zoned hvac, roof 2018, the septic was serviced in 2018 and ongoing pest contract.